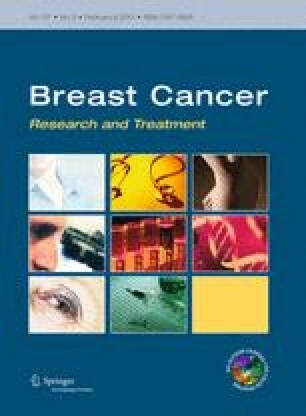 The purpose of this study was to investigate the clinical, pathological, and prognostic characteristics of breast cancer patients with diabetes. In total, the study included 1,013 breast cancer patients with diabetes and 4,621 breast cancer patients without diabetes. Patients with diabetes were further divided into the metformin- and nonmetformin-treated subgroups. The percentage of elderly patients (P < 0.001), obese patients (P < 0.001), and menopausal patients (P < 0.001) as well as the percentage of patients with cardio-cerebrovascular complications (P < 0.001), negative PR (P < 0.001) expression, or low Ki67 expression (P = 0.001) tended to be higher in the diabetic group. In addition, these patients had later pathological stages (P < 0.001), more lymph node metastasis (P = 0.014), and a lower percentage of them were on the anthracycline-based chemotherapy regimen (P = 0.003). The diabetic group was further divided into the metformin and nonmetformin-treated subgroups. The pairwise comparison between the metformin-treated subgroup and the control group did not show a significant difference in the pathological stages (P = 0.0079). However, the HER-2 positive rate tended to be lower in the metformin-treated subgroup than in the nonmetformin-treated subgroup (P = 0.002). No significant difference was found in the lymph node status between the nonmetformin-treated subgroup and the control group (P = 0.057), while the nonmetformin-treated subgroup was associated with higher HER-2 positive expression (P = 0.002). The median follow-up time for this study was 68 months (10–120 months). In Kaplan–Meier analysis, The diabetic group predicted worse survival compared with the control group (P < 0.001) with 5-year survival rates of 79 and 82 %, respectively. The breast cancer mortality rates in the metformin-treated subgroup, the nonmetformin-treated subgroup, and the control group were significantly different (long-rank test, P < 0.001), and the 5-year survival rates were 88, 73, and 82 %, respectively. As shown in the multivariate survival analysis using Cox’s regression model, compared with the control group, the metformin-treated subgroup was associated with lower mortality risk (HR 0.762; 95 % CI 0.6–0.968; P = 0.026), whereas the nonmetformin-treated subgroup was associated with higher mortality risk (HR 1.708; 95 % CI 1.461–1.997; P < 0.001). In conclusion, the diabetic group is associated with poor prognosis. Compared with the control group, the metformin-treated subgroup is associated with better clinical outcomes, while nonmetformin-treated subgroup with poorer prognosis. The selection of different antidiabetic drugs may impact the prognosis of breast cancer patients with diabetes. Guofang Hou and Sheng Zhang contributed equally to this study and share first authorship. This study was supported by International Cooperation Ministry of Science and Quantitative single cell analysis in multi-gene cancer research and diagnosis (No. 2010DFB30270).